I don’t know anyone who doesn’t get at least a little excited about finding a dropped deer antler. So it’s little wonder that using bird dogs to search for shed antlers has grown into a remarkably popular pastime. 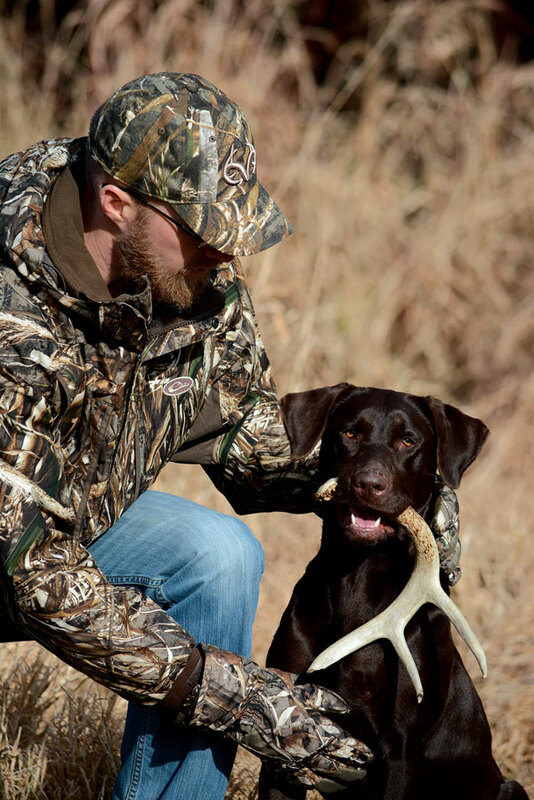 Shed hunting is a fun way to expand your dog’s résumé, fill time during the dreaded “dead zone” between winter and spring, and provide exercise for both you and your dog. I often am asked whether a particular breed would make a good shed hunter. While shed hunting usually is considered a game for retrievers, any of the pointing breeds can excel as well. Simply put: If your dog likes to search for and retrieve birds, then you have yourself the makings of a shed dog! On the flip side, if your dog doesn’t have a high retrieve drive, you probably aren’t going to get better results on antlers. The bottom line is that looking for sheds isn’t much different than hunting for upland birds. Here are a few tips that will help increase your success. Teaching your dog that an antler is a prize worth working for isn’t difficult. 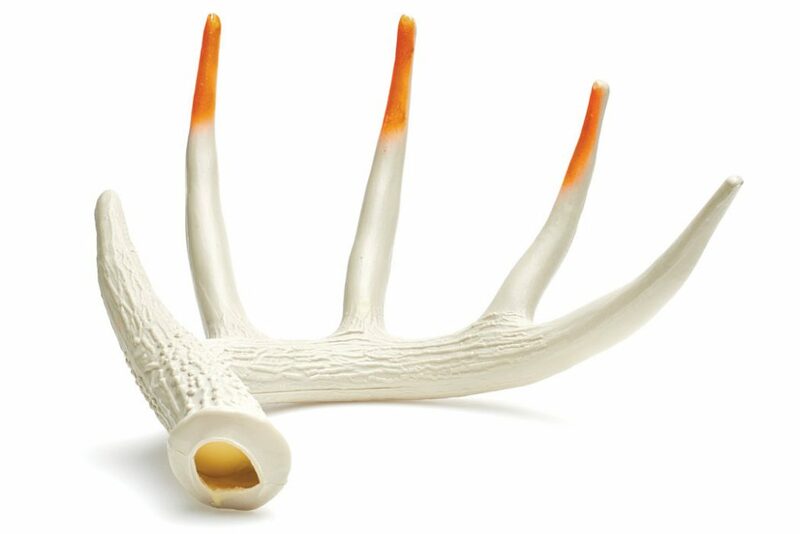 You can start by flinging a shed antler in your backyard just like you would a fun bumper or tennis ball. Once your dog gets into this new game, you can start hiding sheds around the yard or in a small training field and encouraging it to use both its eyes and nose when searching. It’s extremely important to assign specific terminology to sheds as opposed to birds. For example, when I’m bird hunting, I encourage my dog by saying, “Hunt ’em up!” But when I want my dog to look for sheds, I say, “Find the bone!” It doesn’t take long for a dog to make the distinction between the two goals. Common sense dictates that your dog will be more successful at finding sheds if you let it cover as much ground as possible. This is another reason you need your dog to understand the difference between birds and bones. For example, while it’s necessary to insist that a flushing dog hunts close in the grouse woods, when it comes to shed hunting, you can relax the rules. As long as you are able to communicate with your dog, you can let it range out to whatever distance you’re comfortable with. While the noticeable odor of a buck’s freshly shed antler makes it easy for a dog to locate, keep in mind that an older shed doesn’t retain much smell. I’m amazed at how adept a dog can become at spotting that distinctively shaped, light-colored mass of bone as it pokes out of the grass or snow. It’s really rewarding when your dog plucks a year-old antler from under a pine branch that you never would have noticed on your own. Plenty of practice in varying terrain and situations will help your dog learn to hone in on antlers by sight. When you anticipate a shed-hunting excursion, give yourself a head start on success by getting your dog in the right frame of mind before heading out. If your bird hunting season ended in December and now you’re going to look for sheds in March, get your dog focused on antlers with yard exercises and lots of “Find the bone!” encouragement before you head to the field. Because I live in the Upper Midwest, I usually am doing most of my shed hunting from the end of February well into March. It all depends on when bucks are dropping their antlers, and that timeframe can vary from year to year. I keep tabs on some of my deer hunting areas with trail cameras, and when I see that bucks are starting to shed, I try to get out with my dogs if the weather permits. This is the most promising time to hunt for sheds, because antlers have as much odor as they ever will. Also, competition for sheds seems to grow every year as more people take up the pursuit. The earlier you go, the more sheds there are to be found. Of course, getting out there while winter is still in full swing means you might be dealing with lots of snow cover, which can make things more challenging. My next-favorite time to go shed hunting is when a few sunny days have melted snow on south-facing terrain, revealing sheds that may have been dropped weeks or even months earlier. Antlers can be found just about anywhere that deer roam, but fencelines, bedding areas, deer yards and any places that had concentrated winter food sources are good places to start your search. You don’t need to be a diehard shed hunter to see the benefits of turning your dog onto this fun hobby. Shed hunting is a great way to put on some miles, keep both you and your dog in shape during the off-season and hopefully beat the winter doldrums while you wait for spring. Regardless of how many antlers you find, it’s an excuse to spend more time in the field with your dog—and that’s probably the best reason of all. As with most pursuits these days, there are specialty tools available to help you and your dog train for shed hunting. 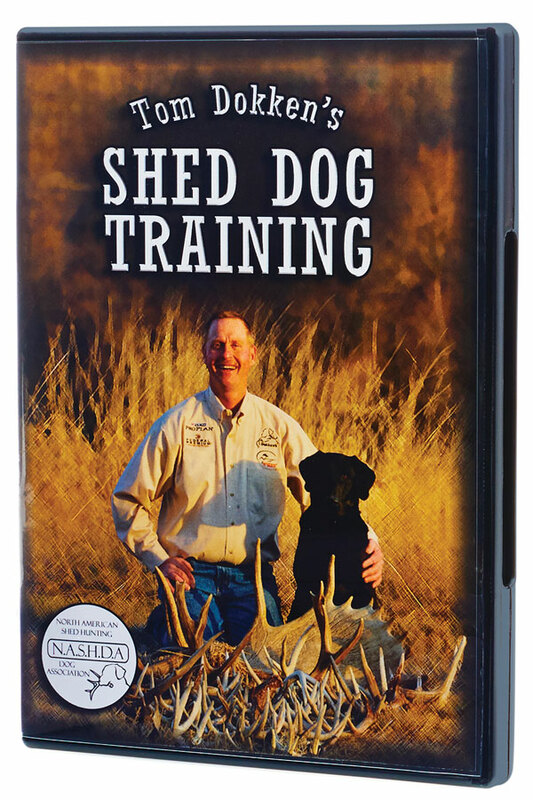 Tom Dokken, one of the country’s top retriever trainers, has been a leader in promoting shed hunting, and in addition to being the president of the North American Shed Hunting Dog Association, he has made available a line of training tools and accessories for shed hunting through his company Dokken Dog Supply. Products include everything from a training DVD and book to antler silhouettes; Rack Wash, to keep antlers free of human scent; plastic training antlers with scent-filled bases; and Rack Wax, a training scent that smells like real antlers. “Start-up” and “pro” kits are also available. For more information, visit Dokken Dog Supply’s website. Josh Miller is the Product Training Specialist for SportDOG Brand and the owner of River Stone Kennels, in New Richmond, Wisconsin. He and his dogs have won a record seven North American Shed Hunting Dog Association World Champion titles. Make sure you don’t disturb wintering wildlife in their most vulnerable times.